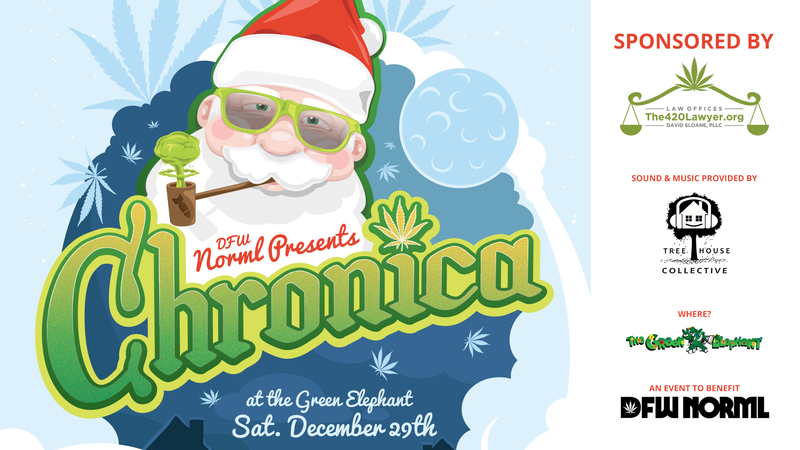 Tis the season for Chronica! Mark your calendars for Saturday December 29th as DFW NORML’s annual holiday celebration and fundraiser returns to the Green Elephant in Dallas. Details at https://dfwnorml.myshopify.com/products/chronica-2018-vendor-booth – Email eric@dfwnorml.org with questions.